Don't Let Your CV40 Hold Your Motor Back! While there are a lot of choices in performance carburetors for Harleys and Buells, in our experience nothing compares to the HSR series carbs from Mikuni. These carbs deliver instant throttle response, excellent fuel mileage, and most of all, more POWER! 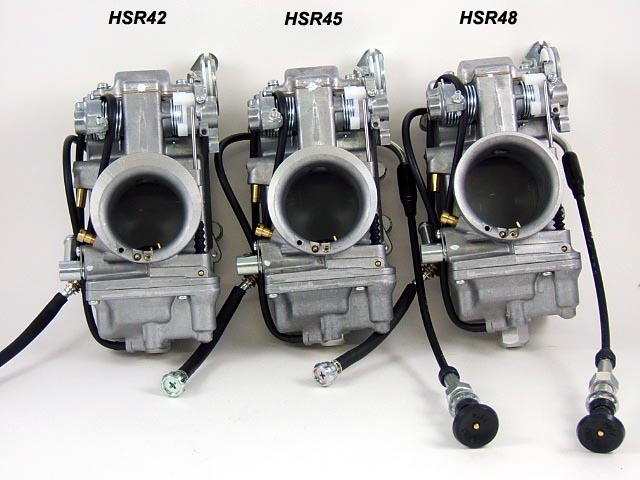 Take a look at the chart above to see what an HSR carburetor can do for your bike. We tested a highly modified Buell S1 (1250 Kit, Sledge Hammer Head Porting, IMPACT 560 cams) with both the stock CV40 and an HSR45, with no other changes between the two pulls. Look at the difference! In our experience, we've found the CV40 to really start becoming a restriction at about 90 horsepower, and they tend to put a cap on the power at about the century mark as shown. By comparison, a Mikuni HSR42 will easily support 110hp, an HSR45 will easily support 130hp, and we've made over 150hp using an HSR48. But more power is not the whole story. Even on sub-90 horsepower bikes, people love these carburetors for their instantaneous throttle response. It's like having a direct connection between your right hand and the rear wheel, they respond so quickly! 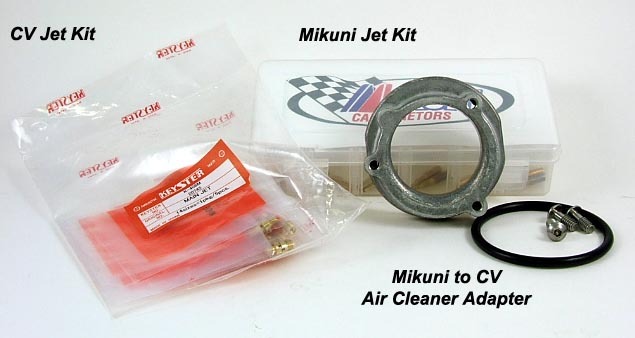 A properly jetted Mikuni HSR carburetor also delivers excellent fuel mileage. We have an HSR42 equipped shop mule Buell S2, for example, that puts 105 horsepower to the back tire and routinely gets 50+mpg. The HSR carbs are generally tuned pretty darn close right out of the box. But there are a lot of adjustments if you want to tweak on it. Mikuni publishes a comprehensive tuner's guide available here. One thing we particularly like about tuning a Mikuni is that the main jet can be accessed and changed without removing the float bowl. This saves a bunch of time when dyno tuning a bike. Many fans of the CV carburetors talk of it's altitude compensating capabilities. In our opinion, this is overrated. We've taken both Mikuni and CV40 carburetors to the top of Mt Evans in Colorado, for example, which is over 14,000 feet. Both ran equally poorly, but both ran. We don't see any real or measurable advantage in the CV in the way of altitude compensation. The altitude compensation method of the CV, which is to put the bowl vent into the intake stream, also causes all kinds of issues with certain air cleaners that don't provide the proper aerodynamics for it. So it can be troublesome to tune depending on the specific combination. We never have such difficulties tuning Mikuni carburetors. The HSR42 will fit and work fine in a stock CV40 intake manifold. The HSR45 or HSR48 requires a larger intake manifold, see below. The HSR42 requires the re-use of your stock choke cable. A new choke cable is included with the HSR45 and HSR48. The HSR48 comes with a rubber boot to adapt it to a two-bolt style manifold. This works but places the carb farther out than stock. To mount the HSR48 in the stock location, use the large carb slip-fit manifold sold below. To use a CV type air cleaner with these carbs, order the CV air cleaner adapter sold below. Computer designed and precision CNC machined for maximum flow, these manifolds are far superior to common cast aluminum manifolds. To minimize restrictions, the passages are shaped with the largest radius that will still fit within the packaging contraints, and are sized to maximize flow as well. 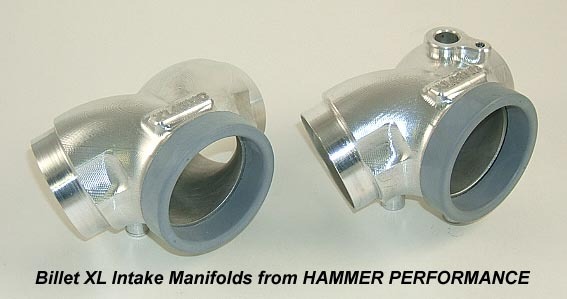 Also, unlike castings, HAMMER Billet Manifolds are free of the roughness, core shift, casting flash, and other imperfections that cause turbulence and kill flow. The net result is the best flowing manifold you can buy for your Sportster, which means maximum torque and power from your motor. No additional porting of these manifolds is needed or would be beneficial, they're fully ported right out of the box. And on top of that, they look as great as they work! Versions are available to mount the stock CV40, Mikuni HSR42, CV44, Mikuni HSR45, or Mikuni HSR48 to your bike. Unlike the two-bolt flange solutions available on the market, all of these manifolds use the factory style slip-fit design and put the carb in the stock location, meaning no loss of knee clearance. Stock carb mounting bracketry works fine as well. Versions are also available to fit either standard carburetor type heads, or the EFI heads as found on 2007-up Sportsters. EFI heads have the manifold mating surfaces milled down and the EFI head versions of these manifolds are wider to match. These manifolds are available either with or without the provision for the MAP sensor as used on 04-06 models. Note: choose the outlet size based on the porting level of your heads. Stock ports are approximately 1.650" i.d. at the manifold surface. Port matching is highly recommended, especially in cases where the manifold outlet size is larger than the port. No computer required! All functions are available right at the tuner, including the ability to easily and quickly switch between up to six different tunes or edit tunes. 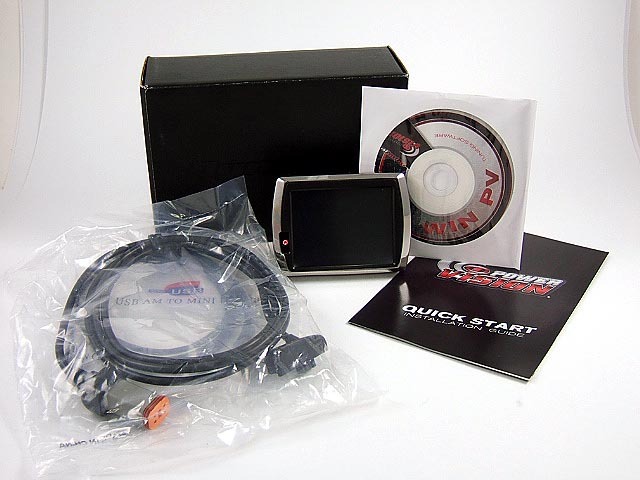 Displays all J1850 engine data as well as instant and average MPG. Auto tune capabilites using your stock narrow band sensors and the WinPV PC application. Logs without hauling a laptop on your bike! At HAMMER PERFORMANCE, we really like this unit for it's power and versatility and highly recommend it to tune your EFI Sportster. Note: The Powervision will "marry" itself to your particular ECM and cannot be moved to another ECM once this marrying process occurs. For this reason, we cannot accept returns on this product for any reason; all returns must be handled with Dynojet Research directly.